Experimental chemotherapy group is working in the field of in vitro and in vivo biological screening of novel compounds. Our aim is to find and utilize the most appropriate models for screening of compounds in the purpose to perform structure-activity relationship studies and to obtain more profound data about the possible mechanism of action. In twenty-year period the Experimental group of chemotherapy formed a large collection of various malignant and normal cell lines that are used in search of novel anti-cancer agents. *Zablotskaya A.; Segal I.; Kazachonokh G.; Popelis Y.; Shestakova I.; Nikolajeva V. Silyl Modification of Biologically Active Compounds. 14. Organosilicon Lipid-like Derivatives of Hydroxyethyl Tetrahydro(iso)quinoline and Thiazole with Antitumour, Antibacterial and Antifungal Properties. Silicon 2018, 10(3), 1129-1138. Rasiņa D.; Stakanovs G.; Borysov O.V. ; Pantelejevs T.; Bobrovs R.; Kanepe-Lapsa I.; Tars K.; Jaudzems K.; *Jirgensons A. 2-Aminoquinazolin-4(3H)-one based plasmepsin inhibitors with improved hydrophilicity and selectivity. Bioorg. Med. Chem. 2018, 26(9), 2488-2500. Bruvere I.; Bisenieks E.; Poikans J.; Uldriķis J.; Plotniece A.; Pajuste K.; Ruciņš M.; Vigante B.; Kalme Z.; Gosteva M.; Domracheva I.; *Velena A.; Vukovic T.; Milkovic L.; Duburs G.; Zarkovic N. Dihydropyridine derivatives as cell growth modulators in vitro. Oxidative Med. Cell. Longevity 2017. Domracheva I.; Kanepe-Lapsa I.; Jackevica L.; Vasiļjeva J.; *Arsenyan P. Selenopheno quinolinones and coumarins promote cancer cell apoptosis by ROS depletion and caspase-7 activation. LIFE SCI.2017, 186, 92-101. Vasiljeva J.; Domracheva I.; Arsenyan P. Selenium analogues of (S)-clopidogrel: Preparation method and properties.Tetrahedron Lett. 2016 (57), 196-198. 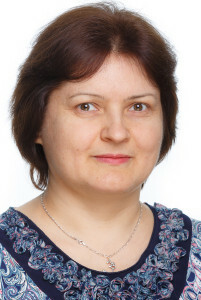 Arsenyan P.; Vasiljeva J.; Shestakova I.; Domracheva I.; Jaschenko E.; Romanchikova N.; Leonchik A.; Rudevica Z.; Belyakov S. Selenopheno[3,2-c]- and [2,3-c]coumarins: synthesis, cytotoxicity, angiogenesis inhibition, and antioxidant properties. Comptes Rendus Chimie. 2015, 18, 399-409. Domracheva I.; Muhamadejev R.; Petrova M.; Liepinsh E.; Gulbe A.; Shestakova I.; Duburs G.; Arsenyan P. 1,2-Dimyristoyl-sn-glycero-3-phosphocholine (DMPC) increases Carmofur stability and in vitro antiproliferative effect. Toxicology Reports. 2015, 2, 377-383. Arsenyan P.; Paegle E.; Domracheva I.; Gulbe A.; Kanepe-Lapsa I.; Shestakova I. Selenium analogues of raloxifene as promising antiproliferative agents in treatment of breast cancer. Eur. J. Med. Chem. 2014, 87, 471-483.